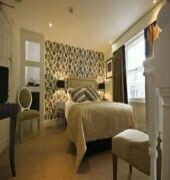 Design boutique hotel in London. 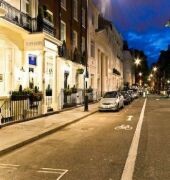 This luxury boutique hotel is placed at just few minutes walking from the Victoria station, in the historic district of Belgravia. The comfortable rooms of Tophams were designed using the best designers of London. The hotel also has a Business Centre and a restaurant with a tasty breakfast. The Tophams, which is characterized as gay friendly, has a perfect connections network, being placed nearby the subway of London and the bus station. The Buckingham Palace, the West End and the Knightsbridge, the district of theatres and museums are at just few steps from the hotel. A design hotel ideal for a pleasant stay and for visiting the English capital. The TOPHAMS is a Tourist, Leisure, Boutique, City hotel hotel. 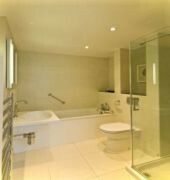 Located in City Centre - Belgravia area. Shopping is within walking distance and the nightlife/restaurants are easily accessible by taxi or bus from the hotel. Descriptionclass="small" style="text-align: justify; font-size:11px;">Design boutique hotel in London. 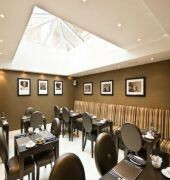 This luxury boutique hotel is placed at just few minutes walking from the Victoria station, in the historic district of Belgravia. The comfortable rooms of Tophams were designed using the best designers of London. The hotel also has a Business Centre and a restaurant with a tasty breakfast. The Tophams, which is characterized as gay friendly, has a perfect connections network, being placed nearby the subway of London and the bus station. The Buckingham Palace, the West End and the Knightsbridge, the district of theatres and museums are at just few steps from the hotel. A design hotel ideal for a pleasant stay and for visiting the English capital.